How to write a social media strategy? Writing a social media strategy requires some specific knowledge. Also, you need to understand the specifics of business strategy development. Having studied a number of sources and having referred to the practical experience, I have decided to share my skills and knowledge with you. Have a look at the steps you should use in order to develop a perfect social media strategy. It is not difficult; you should just follow the recommendations provided and make sure that in case of any mistakes you have some extra ways out. Here is a step by step guide how to create an effective strategy for business development in the social media. Goals. Before developing any strategy, you need to understand why you need it. What are the reasons of your actions? What provokes you for strategy writing? Values. Being aware of the reasons of your writing, you need to define the values you are going to pursue whole strategy development. Status audit. You need to develop a detailed analysis of your social media status. 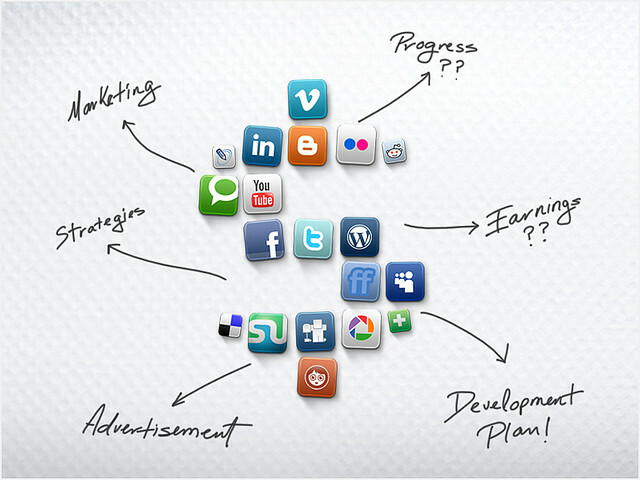 Before developing your strategy, you are to list all the possible social media platforms, which you are going to use. Don’t exaggerate your abilities for monitoring all the platform simultaneously. Content. You need to have a list of ideas, you are going to use for your content writing. It can be a good idea to have some posts in advance. In conclusion, getting down to creating a social media strategy, you need to check on the steps discussed above. Overall, you can use any strategy you want. However, the steps discussed in this post have been checked and tested, and if you follow them precisely you are sure to succeed. Being an amateur in social network, you need a professional by your side. I am ready to become the one. This guide is based in a number of tries and mistakes. I know those who used the steps in another order, but they failed at some stage of their strategy. What I recommend is a guide, which will assist you in creating an effective and practically helpful social media strategy.